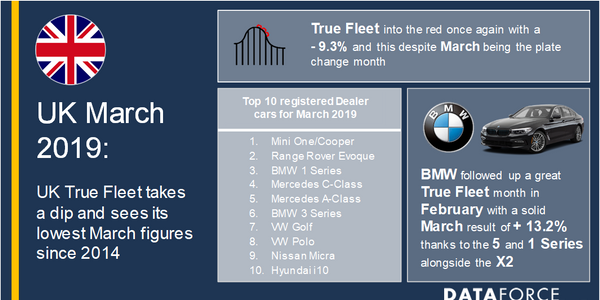 SUVs performed well in Spanish true fleet market vehicle registrations in April, where the segment saw a 40.6% share in the overall market which itself grew by 19.1%, according to a report by Dataforce. Demand for SUVs was prominent in Barcelona, Valencia and Sevilla, which had shares ranging from from 41% to 45%. Madrid was not far behind in this with a 38.0% share, according to Dataforce. Nine out of the top 10 SUVs sold in Spain were models from different OEMs. 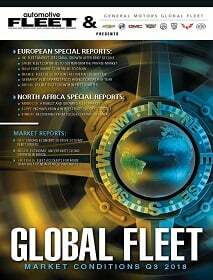 The true fleet market includes all registrations to companies excluding certain categories such as short-term rentals and demo vehicles. The only market where SUVs did not fare well in Spain was Ceuta. The overall Spanish passenger car market continued to grow in 2018, with April being the fourth month of growth this year.The total vehicle market recorded almost 119,000 registrations for April, a 12.4% growth. 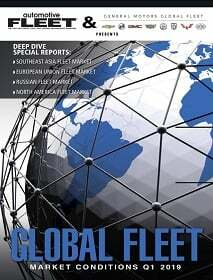 Meanwhile, private and true fleets both achieved similar volume growths in April, by 20.1% and 19.1%, respectively. 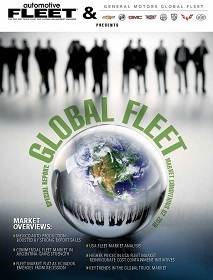 Eight out of Top 10 brands in the true fleet market achieved double-digit growth rate. For the manufacturers, Volkswagen led the market, followed by Renault, and Peugeot placed third overall. Audi placed fourth overall, and garnered the highest growth inside the top 10 with a 35.2% growth, according to Dataroce. This performance was mainly fuelled by the SUV models Q3 and Q5. 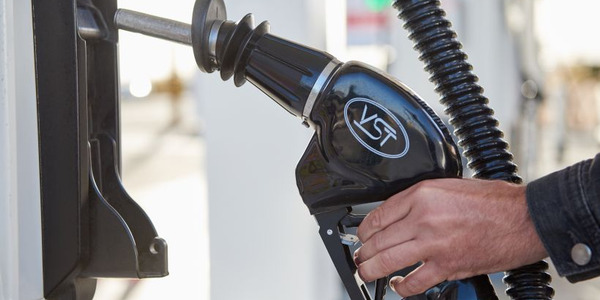 In the alt-fuel market, Diesel registrations made up for 63.2% of April fleet registrations in Spain and reached a share that was slightly higher than both in February (62.3%) and March (62.4%) 2018. 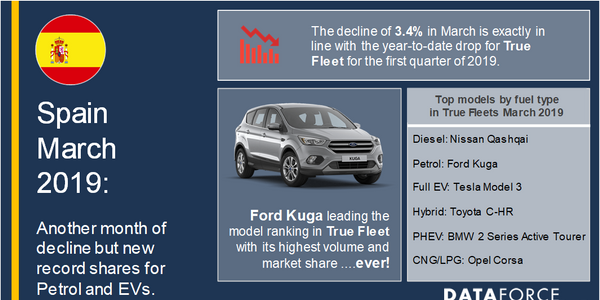 After declining for the last two years, Diesel sales have plateaued, according to Dataforce. 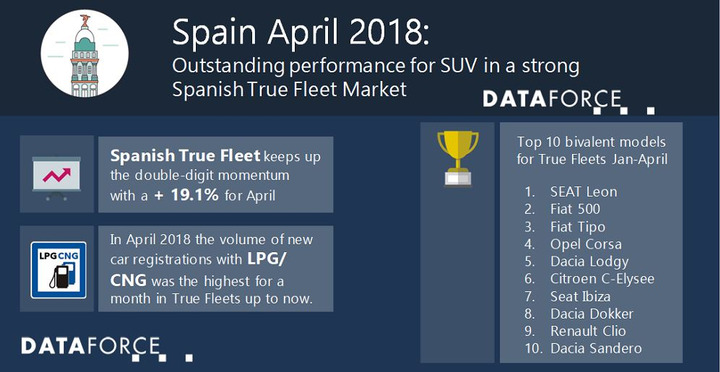 Meanwhile, 1.9% the share of bivalent (LPG/CNG + Petrol) fuel was the second highest ever and the best in terms of volume in the Spanish true fleet market to date. For more information visit www.dataforce.de/en. 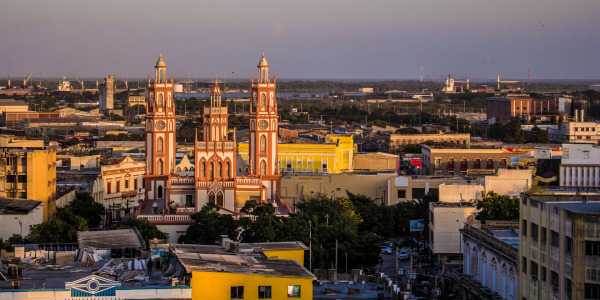 SYSCAF, which is a long-standing partner of MiX Telematics in Colombia, will be responsible for the implementation and rollout of MiX's premium fleet management solution to 187 vehicles throughout the country. 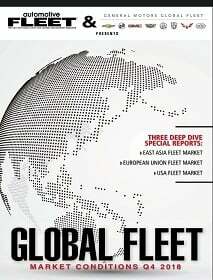 True fleet registrations in the United Kingdom dropped 9.3%, and registrations in the total market were down by 3.4%, with the negative declines expected to continue along with the current nervous buying sentiment until Brexit has concluded. 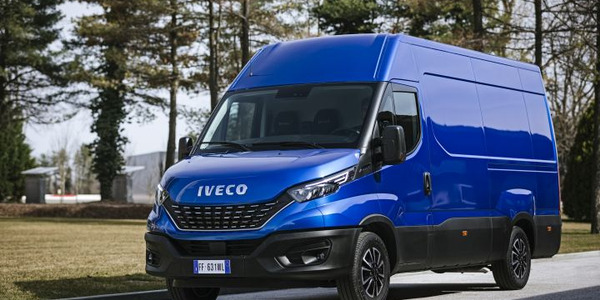 Fleet registrations in Spain were down 3.4% in March, continuing a drop in registrations overall, year-to-date, and were down 900 registrations when compared to the same month last year. 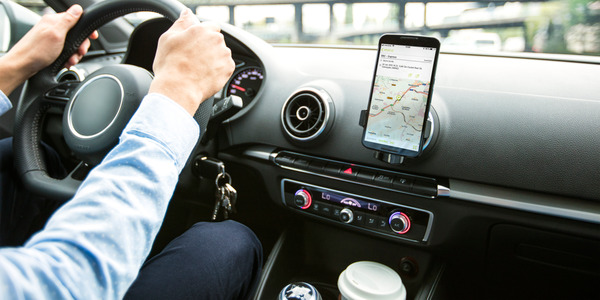 Fleet managers in three European countries will be able to feed fuel purchasing data into their Verizon Connect Reveal telematics platform under a new partnership between the telematics provider and UTA, a European fuel card provider. ARI has been recognized as one of the Best Workplaces for Giving Back in Canada by Great Place to Work, the fleet management company has announced. 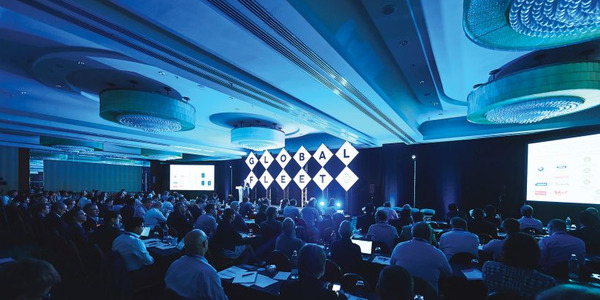 Early-bird registration for the 2019 Global Fleet Conference in Miami, Florida, will end in one month, on May 2, 2019. 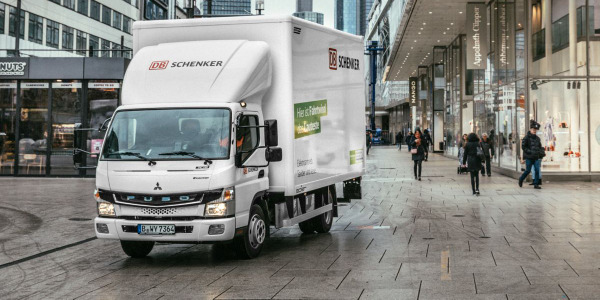 The price for fleet managers and fleet suppliers who sign up prior to the deadline will receive a $100 discount.